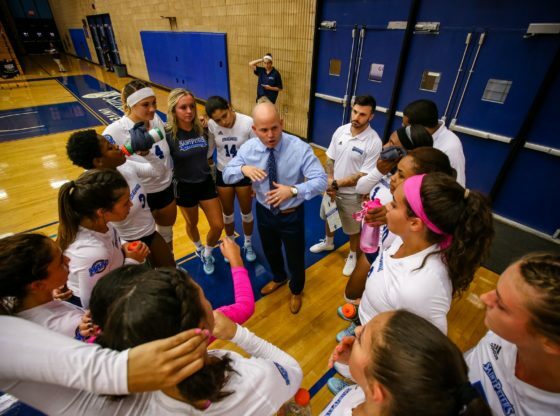 St. Francis College Director of Athletics Irma Garcia announced the newly acquired Head Coach of the Terriers women’s volleyball team, Amable Martinez. Prior to joining St. Francis College, Martinez served as the head coach of the women’s volleyball team at Saint Peter’s University during the last two seasons. He also helped the Peacocks to an appearance in the 2018 MAAC Tournament, leading them past Marist College. Throughout the same season, he also served as the assistant coach at Stevens Institute of Technology where he brought the team to a 71-12 overall record as well as two straight trips to the NCAA Final Four. Martinez coached for many other schools around the country, such as Springfield College, Bloomfield College, and Science Park High School in Newark, NJ from 2005-2011. To see his induction to the St. Francis College women’s volleyball program, there will be a press conference held on Tuesday, February 26, at 10 a.m. on the campus of St. Francis Brooklyn in the Eighth Floor Franciscan Brothers Conference Center. Congrats and welcome Coach Amable Martinez!! !